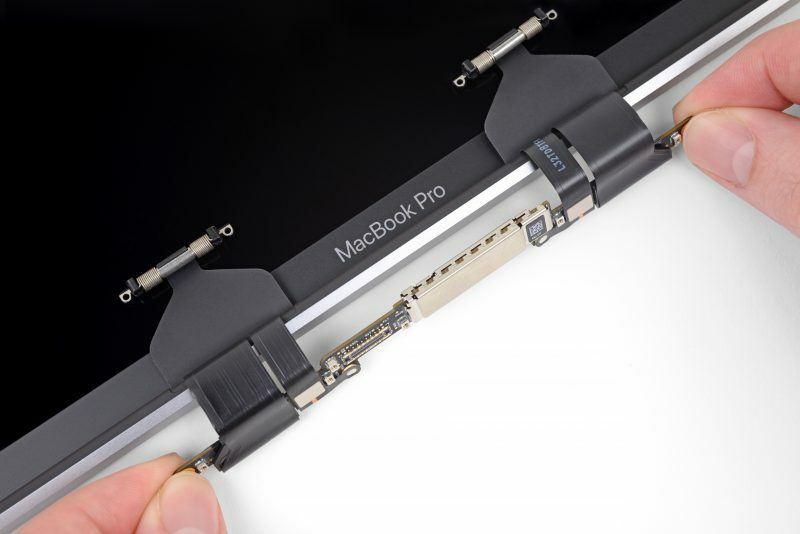 Some 2016 and later MacBook Pro models appear to be displaying issues with uneven backlighting caused by a delicate and easy-to-break flex cable, which has been dubbed "flexgate." Impacted machines can feature uneven lighting at the bottom of the screen, which looks a bit like a "stage light" effect, and the display can eventually fail entirely. According to repair site iFixit, which first highlighted the problem, 2016 and later MacBook Pro machines are using thin, fragile display flex cables that are prone to malfunctioning with repeated closing and opening of the MacBook Pro's display. The flex cables are loosely wrapped around the display controller board and when the MacBook's display is opened, the cables are pulled tighter, leading to tears and problems over time. The issue can impact any 13 or 15-inch MacBook Pro model manufactured in 2016 and 2017 though it appears to be affecting Touch Bar models more frequently. 2018 models may also be impacted, but Apple did make flex cable changes to these machines that may solve the issue. The new MacBook Air models could also eventually be impacted. While they use a different display cable design, iFixit says the cables also wrap over the display board and could potentially exhibit the same failure. It's not clear yet if that will happen, however. When you first buy a MacBook Pro, the flex cable functions perfectly. 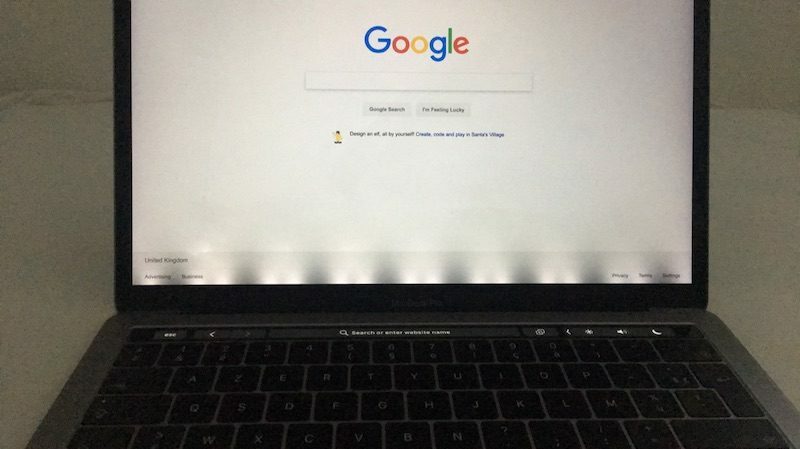 With repeated closing and opening of the MacBook Pro's lid, however, the durability can decline, leading to the display issues. Customers who do not have AppleCare+ may be required to pay out of pocket for repairs. While it's a simple cable that needs replacing, because of the way the MacBook Pro is designed, the flex cable is integrated into the display and requires the entire display assembly to be replaced. Apple hasn't commented on the issue at this point in time, and there is no repair program in place. Impacted users have started a website and a petition with the aim of getting Apple to offer free repairs via an extended warranty program. Apple has not publicly commented on the Flexgate issues in some 2018 MacBook Pro models, but it appears the company may have quietly implemented a fix in its 2018 machines. As discovered by iFixit, the cabling responsible for the issue in older machines appears to be about 2mm longer in 2018 MacBook Pro models. The longer length alleviates the stress put on the cable when the hinge is open and closed and it could prevent the cable from weakening due to hinge use. iFixit isn't certain that the longer cable fixes the issue so it's possible some 2018 machines will still be affected, but they may very well be less prone to this issue.